Preparing a top horse for a championship requires extensive planning, with each class the horse jumps planned meticulously in their schedule. But as often happens with horses, sometimes that plan must be altered. So when Breitling LS only jumped one round in the $150,000 FEI Nations Cup on March 3 , Beezie Madden knew she should find another class for the stallion to jump. 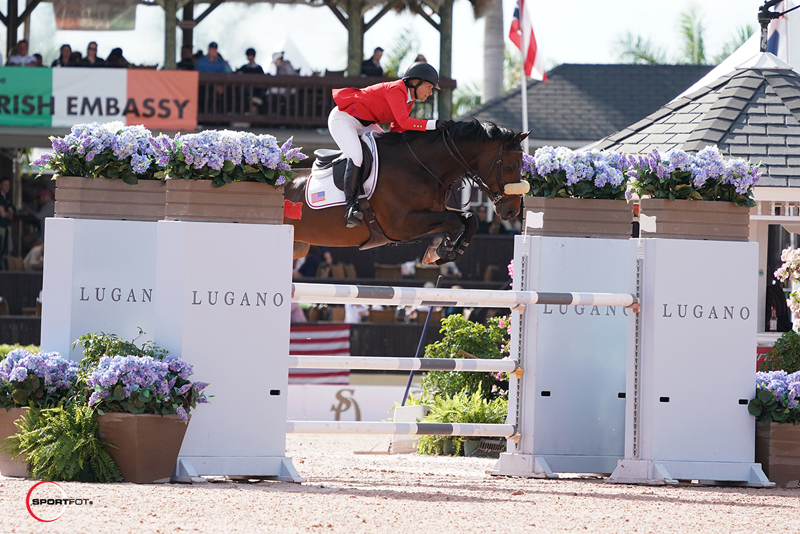 She chose the $250,000 CSIO****, and the decision paid off with a blistering jump-off time of 40.49 with the 12-year-old Dutch Warmblood stallion by Quintero. Beezie Madden and Breitling LS. Photo by Sportfot. Madden originally planned to just focus on the Nations Cup with Breitling LS and ride her greener mount, Con Taggio, in Sunday’s grand prix. 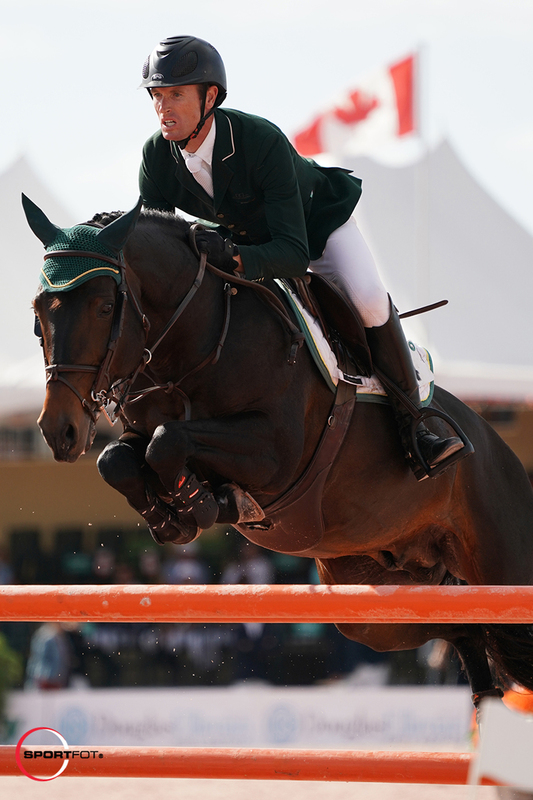 When the Nations Cup didn’t turn out as she hoped for and the U.S. team didn’t advance to the second round, Madden changed her mind on which horse she would ride in the grand prix. Madden plans to bring out Breitling LS again during Week 11 of the Winter Equestrian Festival to compete on the grass derby field for a change of scenery for the horse she bills as one “kind of climbing up there” in her string of top horses. Second place went to Moloney and Carrabis Z, a Zangersheide stallion by Canabis Z, in a time of 43.16 seconds. They went last in the jump-off, and Moloney had seen Madden’s round before him. “In the jump-off, I saw Beezie from one to two, and I knew that I couldn’t do that with him because he’s hard just to turn straightaway when he lands,” said Moloney. “He jumps far out the other side of the jumps. I kind of went as quick as I could without taking any risks, just leaving the jumps up. I’m very happy with second place. Sternlicht and Cristalline were the first in the ring, and turned in a solid clear round in 43.86 seconds for third place. Fourth place went to the only other double clear, Lisa Carlsen and her own Parette. Adrienne Sternlicht and Cristalline. Photo by Sportfot. Sternlicht and Cristalline recorded a clear round in Saturday’s Nations Cup as well, and their partnership is solidifying, also thanks to the time that Sternlicht spends with the Bavarian Warmblood mare by Cristallo I in the barn. 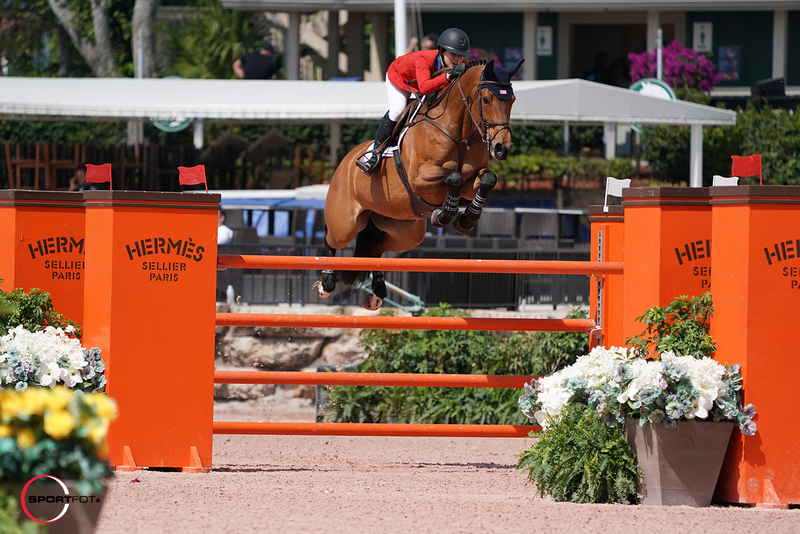 Lillie Keenan was presented with the Kate Nash Boone Style Award, given to the international equestrian who exemplifies best style of riding along with maintaining a sportsmanlike composure while competing in the CSIO at WEF. The Niall Grimes “Cheers” Perpetual Trophy was presented to Richie Moloney, which is presented each year to the top Irish rider during CSIO week. Beezie Madden was presented with the Martha Jolicoeur Leading Lady Rider Award for WEF 8.